Chevron pattern PVC belt for treadmill runner 3300mm wide max. Light duty conveyor belts are manufactured for all applications with various fabrics impregnation like polyester, nylon, cotton, solid woven, fiberglass etc. Belts are available in different colors like green, white, black, blue and thickness from 0.5 mm to 15 mm up to 3500 mm width and with top surface coating Rubber, PVC, PU, TPU, PE, TPEE, Teflon, Silicone, etc. The main products include flat surface series, anti-slid series which diversified in a lot of textures for meeting different conveying conditions and environment, featuring anti-static, anti-corrosion, flame retardant etc. 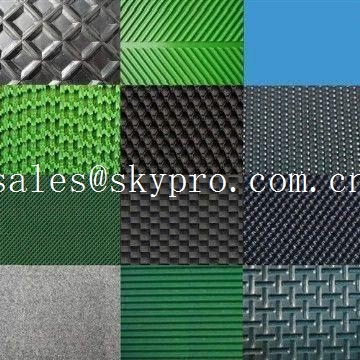 There are wide range of patterns of rough top belt available including Diamond, Chevron, Herringbone, Rib, Grid, Wave, Round and Oval nubs, Convex-tooth etc. Low operating noise and costs, reduced maintenance, excellent durability. Largely impervious to oils, greases and many chemicals. Special types give excellent grip on inclination. 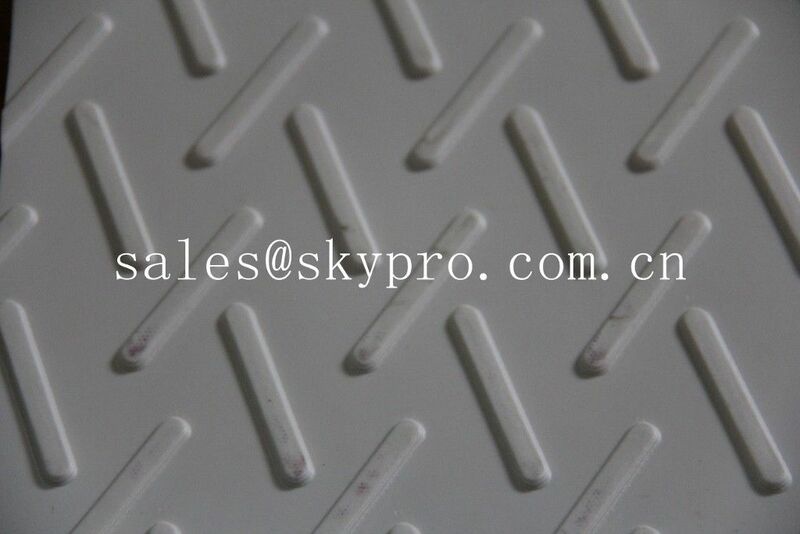 Abrasion resistant - rugged, high strength - low stretch characteristic. Light and thin, better strength / weight ratio - energy saving. Superb tracking over great length - longitudinally flexible and laterally stiff.